Below you can view all the homes for sale in the Historic District subdivision located in Chapel Hill North Carolina. 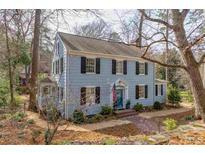 Listings in Historic District are updated daily from data we receive from the Raleigh multiple listing service. To learn more about any of these homes or to receive custom notifications when a new property is listed for sale in Historic District, give us a call at 919-759-5770. Corner lot w/ fenced rear yard. Too much to list! MLS#2247455. 136. Beautiful,restored home in Historic District,walk to UNC & Franklin St.New Kitchen & BAs,new wndws,electric,plumbing,HVAC,water heater,sealed crawl & attic,insulation,paint,floors,central vac,extensive moldings,solid drs w/custom hdwr,stained glass wndws.Foyer w/heart-of-pine floor.Living Room & main lvl study/Bedroom w/qtr-sawn oak floors in herringbone pattern.Eat-in Kitchen w/island,dacor oven & gas cktop,granite cntrs,great cab/cntr space.2 Bedrooms up + nook/landing.Wrap-around front pch,cvd side pch.Mature trees,front stone wall. MLS#2241649. 132. Home upgraded with Mangum Power Gas Backup Generator. MLS#2239647. 3503. Built in 1910 and exquisitely renovated in 2006 and again in 2016, 515 East Rosemary combines the southern charm of a century ago with the features required by today's sophisticated owners.Enjoy the restful grace of the artfully landscaped .84 acre lot while only a short stroll to the fine restaurants and activities of downtown Chapel Hill.Outdoor entertaining spaces include a welcoming front porch, covered veranda, and circular stone patio with a gas fire pit and a garden area with a delightful fountain. MLS#2187917. 4655. Built in 1908 for botany professor William C. Coker, the house & its notable gardens testify to the complimentary functions of architecture & gardening.The Prairie Style of architecture was selected by Coker for his home's design.The structure's deep overhanging eaves, prow-gabled slate roof, grouped casement windows, interior stone chimney & exterior finish speak to an integration with nature & natural materials. MLS#2135438. 331.